ECC SAAC Volunteers Time To St. Martin De Porres Marianist School In Uniondale, N.Y.
TU4C and Met-Rx / NBTY Helping Hands challenged L.I. 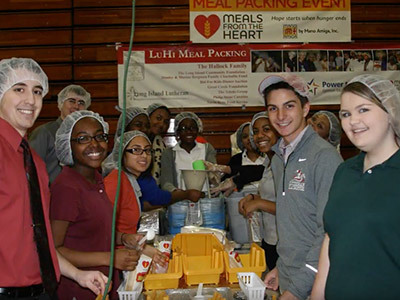 Athletes to Spring Into Action with Community Service during the 2014 Spring Season! Recognizing that community service helps promote responsibility and character in young people, TeamUp4Community partnered with Met-Rx and NBTY Helping Hands in the “Spring Into Action Sports Community Service Challenge,” an interactive contest that challenged our Long Island Athletes to compete in service projects this past Spring season. This challenge encouraged community service among student athletes between the ages of 6 and 24. 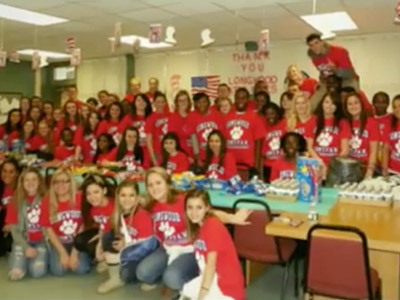 The Challenged successfully completed submissions totaling 12,605 hours of community service work performed by Long Island Athletes between March 1, 2014 to April 30, 2014. The value of their time served in the community is worth over $91,386 given back in service.